There are a lot of different aspects to consider when it comes to choosing your wedding band. The traditional thinking was to have the wedding band play after dinner and have a DJ thereafter. This has changed somewhat in recent years with a great diversity of entertainment being considered. 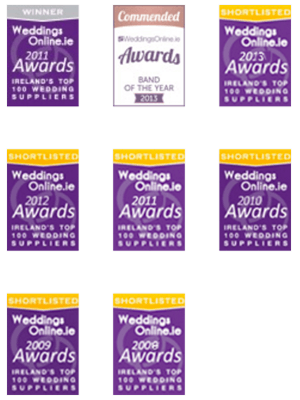 In our 10 years experience in the wedding bands area in Ireland there are a number of things that we have picked up that we are happy to share with you. What type of entertainment package are you thinking of having for your wedding? A number of wedding bands in Ireland offer a wide range of services including: Church/Ceremony Music, Arrivals/Pre Reception Music, Dinner Music, Evening Wedding Bands, Wedding DJ and Residents Bar Singalong. If you are thinking of having a number of wedding entertainment elements it may work out more cost efficient to book all your wedding services from one quality source. Most entertainment wedding band outfits will offer discounts for wedding band and entertainment package deals. It also means you are dealing with only one person on the day with regards to your wedding entertainment instead of 3 or 4 different individuals. Always ask how many musicians are in your wedding band and how long they play for when you are making an enquiry. There is a large variance of members in wedding bands (Ireland) and can range from 2 – 20. Also some bands play to a strict 2-hour set while others will play for 3 – 4 hours. It is very important that you deal with suppliers who understand that time can run over. Make sure your suppliers don’t penalise and will give the same service regardless of start-time. These factors are important when determining value-for-money. Where possible see and meet YOUR wedding band in advance of booking in order to get a good feel for the calibre of the people you are dealing with. Everyone who see Harlequin Wedding Band books Harlequin Wedding Band. If you can’t attend an event send a friend or family member in your absence. It is also good to place some emphasis on the degree of professionalism that you receive in all your correspondence with Live Bands in Ireland. If they are professional from the start they will likely be professional throughout the booking and event preparation stages. What level of customisation will you require from your wedding entertainment suppliers? Most wedding bands (Ireland – it may be different in the rest of the world but we specialise in Irish wedding parties) and music suppliers have some degree of flexibility and customization in their offerings but very few will offer a completely customised service. Some bands offer no flexibility at all. It’s important to know that you may not get to hear the music you want to hear at your wedding if you don’t do your homework. And you could end up looking at an empty dance-floor. If the music and dance element is important to you be sure to let your feelings known from the start when dealing with wedding bands. Similarly what styles of music are you looking for? 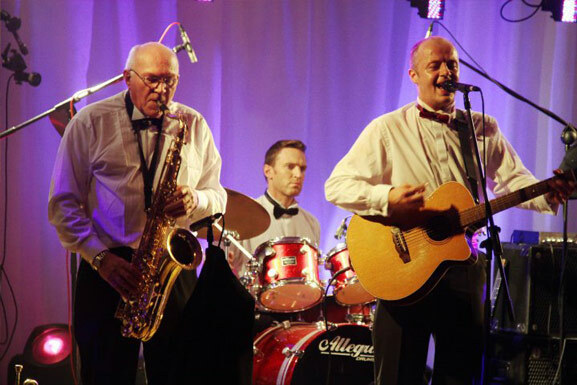 Some wedding entertainment acts specialise in one genre of music while others play all styles and cater to all tastes. How important is presentation to you with regard to your entertainers? Again styles range from formal black tie to informal jeans and t-shirt. Again if this is important to you factor this into your thinking and make enquiries accordingly. Also it is important to coach your suppliers in terms of who they can focus on and who they are to avoid when presenting the evening. Recently, I have attended a few weddings at which the Father of the bride has passed away or the parents of the groom were disabled. Obviously it would be a disaster to call out their names on a wedding like this. If your wedding band haven’t done their homework such occurrences may happen. Only talk to the wedding bands who pledge to nail it in terms of the small details. Perfect parties every time – it’s a good motto for us and one we have been practicing since we played our first wedding in 2001. Do your homework and research potential wedding ands and suppliers thoroughly before making your decision. Irish wedding bands are many and varied. It can be hard work finding a wedding band that you know will deliver on the night. . Wedding Forums and Client Testimonials can be a good source of information and can also give you peace of mind. Past users of a supplier are usually very open about their experiences and will share their impressions upon request. And finally DON’T UNDERESTIMATE THE IMPORTANCE OF WEDDING ENTERTAINMENT in terms of hosting a successful event. . We always tell clients that there are a number of things that have to be right for a wedding. These include: the venue, the food, the guests, the fiancé (this goes without saying of course) and MOST IMPORTANTLY your wedding band and entertainment. These are the key factors that people comment on and you can’t laugh if any of them are not right. We hope you find the above information useful. Also remember that different bands may or may not suit differing audiences. 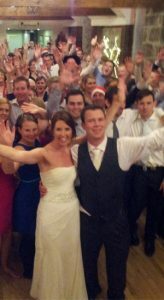 For example, a modern high octane band from Leinster may not suit a relaxed country wedding in Munster or Connacht. In various parts of our small country different styles of wedding band are accepted as being the norm. In Leinster, country music doesn’t always work, in Munster pop is not always the preferred choice and if you play a wedding in Galway, Limerick or Cork you run serious risk of being lynched if you neglect to play some country (at least a bit of Galway Girl or the Saw Doctors).